On July 1, I will become the new executive director for the South Carolina Arts Alliance. Below is the release from the SCAA. More information will be coming soon. I will not be moving, the SCAA office will relocate from Rock Hill to somewhere in the Upstate of SC (exact location TBD). I will be continuing my work in Mauldin through June 30. George Patrick (GP) McLeer, Jr., administrator of the City of Mauldin’s Office of Cultural Affairs, has been named to succeed Betty Plumb as executive director of the South Carolina Arts Alliance, SCAA President Rose Sheheen of Camden announced today. McLeer officially will take the reins of the statewide nonprofit arts advocacy and service organization on July 1, with Plumb assisting in the transition until September 1, including the relocation of the SCAA office from Rock Hill, Sheheen said. Plumb, who has headed the SCAA for 27 years, achieved state and national prominence as a leader in advocacy for public funding of the arts and arts education. In recent weeks, she was announced as winner of the 2016 Elizabeth O’Neill Verner Governor’s Award, in the individual category; the “Together for Good Advocacy Award,” from the S.C. Association of Non Profit Organizations (SCANPO); and the S.C. Theatre Association‘s advocacy award. McLeer’s current responsibilities include managing the Mauldin Cultural Center, a repurposed 1937 school that hosts 30,000 people and more than 1,500 events annually, and handling all city-wide marketing efforts. He was responsible for starting the Railroad Concert Series, an annual free series featuring locally and nationally known performers; managing the Mauldin BBQ Cook-Off, a signature community event; and creating theMaudlin Public Art Trail, a 10-year continuous cycle of public art installations. Before working for the City of Mauldin, he was executive director of the Mauldin Cultural Center, a nonprofit organization. 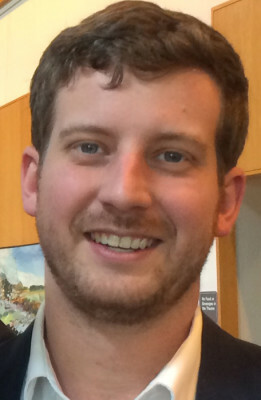 McLeer, 27, is a 2010 graduate of the College of Charleston’s Arts Management Program. He lives in Fountain Inn.